and Communal kinship and continue to honor them in sweet vigil. 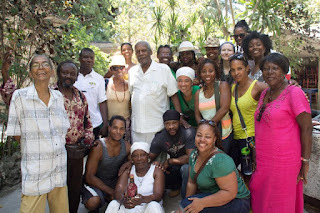 nzoCALIFA: Bon Ache' RTL Vodou Voyage: Destination CUBA! nzooCALIFA -- Hailing from a blazed #Dance trek, her #Dancestory is truly emblazoned by that of Ancestral commission, married to the service of the Haitian Lwa known as "Ashade Bon Manbo". 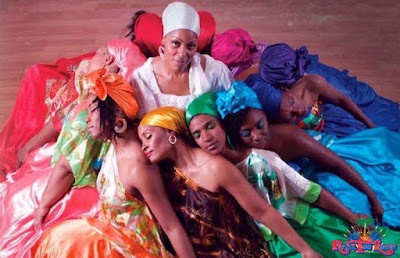 From Beaumont, Texas to the Bay Area for over 20 years Portsha Terae Jefferson also revered as, "Ashade Bon Manbo" has cultivated a trajectory of #Dance excellence, dynamic performance and a cultural legacy of training, education and cultural exchange. 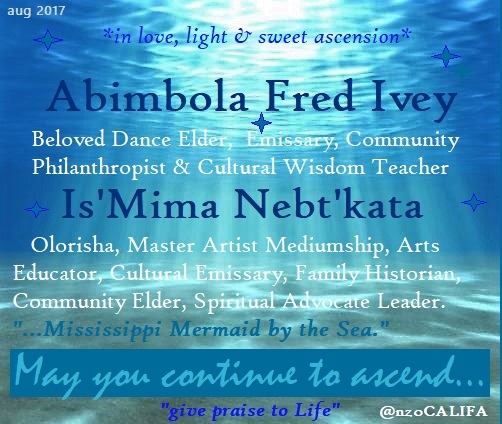 Often nurtured by Bay Area Dance luminaries Lynn Coles and Blanche Brown to name a few, to Haitian Dance Masters such as Pioneer Vivianne Gauthier [iba'e] with consistent training at Ecole Nationale de Artes [ENARTS], transcended through the establishment of Rara Tou Limen Haitian Performing Company in 2004, #Oakland, California. Ms Jefferson's visionary Artistic leadership and RTL Company's unforgettable presentations have garnered her the attention as respected colleague and emerging cultural gatekeeper, forging new trailways through ancient traditions -- staying truth to the sojourn carving pathways for many to flourish crossing boundaries and dimensions in the #Dance. In grand salute Queen, Sistar & Nayson Rara Tou Limen. Ayibobooo! Flashback: "Our artistic offering and choreo-prayer, Limye pou Ayiti will soon hit the stage in Port-au-Prince! I keep asking myself "Is this REALLY happening?!" In this moment, it all seems so surreal. This cultural exchange tour to Haiti is GRAND. I know. I think big. I dream big. I choreograph big (ask any company member!) Why? Because I manifest GREATNESS!" "Minokan" was RTL's promo photo for our Haiti tour, August 2014... 3 years later, personnel changes, energy shifts, out of state/country moves, babies born, growth, lessons, development...3 years later, August 2017, we are embarking on a new journey, new country, new developments, new ENERGY to help shape, enrich and INSPIRE us individually and collectively. Countdown: We leave for Cuba in 5 days! Thank you all for your love, support, prayers, and generous donations thus far. Onward and upward! AYIBOBO!!!"